With the rise of data science, cryptocurrency, and cloud computing, many industries are currently on the verge of a systemic shift. As a business owner, you need to be able to adapt to change if you want your business to thrive. That said, there’s one thing that will never go out of style: great customer service. If you want your customer service to make customers happy on a consistent basis, you have to take the necessary steps to ensure that your agents are motivated enough to be at their best. It’s not an easy task. 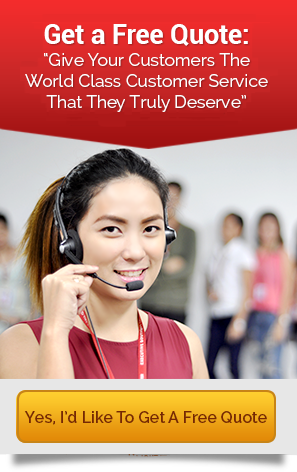 For one, being a call center agent is a demanding job. If you don’t give agents enough reasons to stay motivated, your customers and your business are bound to suffer. Below are tried-and-tested ways to ensure that call center agents are motivated enough to put their best foot forward at all times. As a business owner, the onus is on you to take the initiative to reinforce the right attitudes and proper mindset among call center employees. In short, you need to foster a positive working environment. Sounds like hard work? Perhaps. But if you take the time to interact with every employee (not just agents) and take the steps needed to contribute to a pleasant and friendly environment, then you are well on your way. After all, as a leader, all agents and managers look up to you for guidance. As a leader, what you do serves as the blueprint which employees will be adhering to. Of course, it doesn’t hurt to communicate your desire to create a warm and friendly atmosphere to managers and agents. As the business owner, you’ll have many opportunities to do that. Forget suggestion boxes and put them where they belong: the dustbin. To ensure that feedback is always contributing to the improvement of the workplace, you have to encourage a culture or environment where ideas and feedback are freely shared by employees. In turn, a system where ideas and suggestions can be reviewed quickly by a committee needs to be in place. For optimal results, a reliable feedback loop needs to be implemented as well. When employees realize that their ideas are being taken seriously, they are more likely to realize that they’re part of the company’s growth and as such will feel more motivated to make contributions. Everyone craves recognition for a job well done. Yes, even those who pretend that personal accolades don’t matter to them. A word of praise, a pat on the back, or a simple complimentary shout out can go a long way into boosting an employee’s morale. When an employee feels that her contributions are valued and recognized, the behavior that led to the positive feedback is reinforced. It gives the employee something to aspire to. That said, agents who perform poorly need to be guided as well. But it should be done in private to save them the humiliation. Agents who are made to do the same tasks over and over again are likely to feel disillusioned and bored by their responsibilities down the line. This is why agents need to be assigned a variety of tasks to keep them engaged and interested. Instead of consigning an agent to voice work 100 percent of the time, you can ask them to work on email or web chat or other support responsibilities as well. Employees will feel more motivated to do their best when they know that their hard work could land them a promotion. After all, promoting from within is one of the best ways to show your agents that you appreciate them for their contributions. It gives them the validation that their talents are an asset to the organization. In addition, setting up career development programs gives agents the support they need to advance in their career. It gives them a sense of direction and purpose, thus keeping them engaged and motivated. Every business is bound to face challenges that will make it difficult for employees to stay motivated. But if you implement the steps above and ask each member of your team to support you in the endeavor, it will only be a matter of time before your business achieves the growth that you’ve been planning for. To do this, special emphasis needs to be placed on great customer service. Why? For starters, a 2009 survey suggested that the most common reason why customers cancel a service is because of poor customer support. There’s no surprise there, really. After all, the customer service agents is a business’s front line when interacting with customers. It’s how a company can establish a relationship with its client base. Customer service agents play a crucial role when it comes to “humanizing” a business entity. This bit is crucial since people highly prefer to deal with people — and not companies or brands. Customers in general want to feel that they are valued as people first, not just for the business opportunities they provide. This can mean everything from greeting the customer by name, to showing courtesy at all times during each call, to thanking the customer for calling. If recent studies on customer interaction are any indication, it is that clients are more likely to stay loyal to your brand if they are treated by customer service personnel in a personable manner. Customers grow frustrated when their issues are not resolved quickly, even more so when the resolution offered requires them to do some of the lifting. According to a study published in Harvard Business Review, reducing customer effort positively impacts customer loyalty. Train your employees to resolve issues more efficiently and chances are your customers will be less likely to cancel the service on a whim. Another way to make customers stay with the company is to regularly offer them rewards and incentives. By rewarding clients, you are showing them your appreciation for their business. More importantly, you are giving them good reasons to continue purchasing your services. Another important strategy you can adopt is to regularly offer goodwill gestures to customers who have issues with the service. For instance, you can offer customers a refund to compensate for the inconvenience they experienced on account of, say, a technical issue. It’s important to note that goodwill gestures have more positive impact to customer loyalty when they are offered even if customers didn’t ask for them. An amazing strategy to boost customer loyalty and diminish churn rates is to be proactive at all times. What this means is that you have to anticipate the customer’s needs at every available opportunity. Will the service be undergoing a service maintenance which could cause technical problems for customers? Inform them at least a few days in advance through all available channels. Being forthcoming with customers in regards to information that concerns them inspires confidence and brand loyalty. Emphasizing to agents that the main thrust of the company’s strategy is to deliver great customer experience can go a long way into making sure that every hand on deck is on board. It makes for an easy integration of customer-centric policies and procedures into the company’s operations, resulting to positive results in customer support interactions. Increasing customer loyalty and retention is essential in securing a business’s long-term goals. We at Executive Boutique know this all too well, which is why we are committed to training our agents to be well-versed in the best practices that have been proven to improve customer experience.